Steve recently decided to get into the world of cycling. 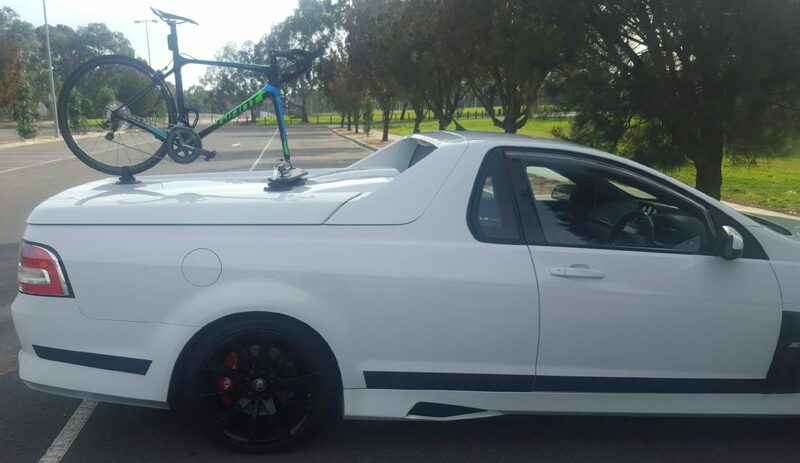 Transporting his bikes has proven to be a challenge given his weapon of choice, the HSV Maloo Ute. 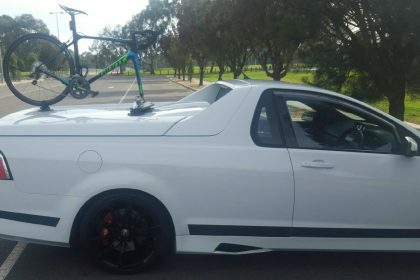 Steve previously installed a tow ball mounted HSV Maloo Ute Bike Rack. 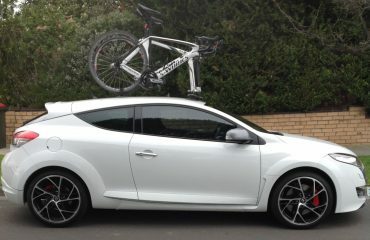 This setup was both cumbersome and also required vehicle modifications. Steve contacted us after much internet research looking for a better solution. Steve pre-ordered his Mini Bomber prior to the arrival of our latest shipment. He also arranged for an install and demonstration at our office in Cheltenham, Victoria. 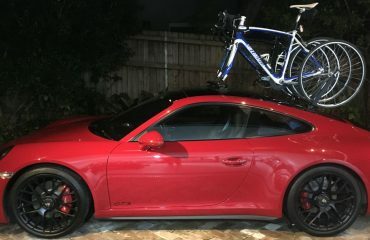 He wanted to carry his bikes on the HSV Maloo’s hard lid but also wanted to the lid to open and close with his bikes installed. After taking several measurements we were confident the SeaSucker Mini Bomber was up to the task. We installed the Mini Bomber main board directly behind the two humps on the hard lid. This left ample room the rear wheel strap to secure the rear wheel. Within a week of the initial install Steve sent us these photos. 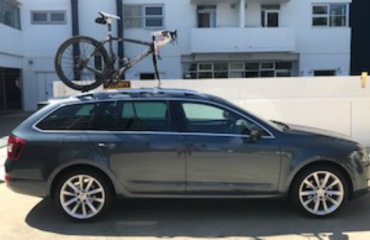 Steve was able to install the bike rack and mount his bikes within minutes and removal takes just seconds. Best of all the low profile SeaSucker Mini Bomber does not look out of place on Steve’s immaculate HSV Maloo Ute. As demonstrated in the photos Steve can still open and close his hard lid. Thanks Steve for sending us the photos and allowing us to share your story.